Last week I wrote an article. Nobody made a snide or condescending comment which means I wrote a perfect article. It’s good to know that what I wrote was perfect and helpful to people. That’s excellent. Accordingly, I decided to make it a two-parter by, you know, writing a second part. Unlike a lot of unplanned sequels, this is going to go great. It’s going to be a lot more Godfather 2 than Highlander 2, you dig? If you aren’t familiar with or don’t remember what I did last week, go read it now for free and then we’ll hit the ground running. Less talk, more rock – let’s do this. 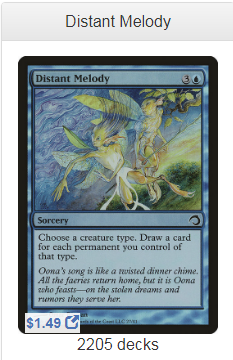 2,425 is hardly the largest number of EDH decks a card has ever been in where we later referenced its “demand” but I’d be remiss if I didn’t mention that Gush is played a non-zero amount in EDH and is bannably-good in Pauper. It’s a stupid-good card in Pauper and if it’s banned, a lot of people are going to eat it. For now, though, with so few printings, the first one being so long ago and with it being banned all of these years meaning there was no real impetus to dig these out of nooks and crannies, Gush’s price, well, gushed. If you have these, I think you ship them. 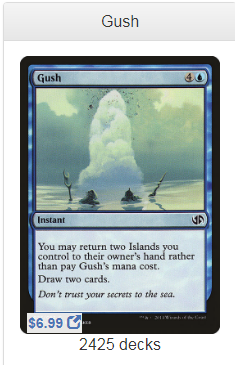 I don’t think pauper-mania can sustain its current fever pitch and regardless of if it does, I think Gush is one the watchlist. Could this hit $20? It’s possible but I think you just out these. Sooner or later, someone else will break some other tribe. In the mean time, Elves is basically the one viable tribal deck and with the use of Birchlore Rangers it can cast Mob Justice or Distant Melody pretty reliably (not bad for a deck with only 9 lands). If you’ll notice, the interest in this card came way back when Wizards announced that Commander 2017 would be tribal decks. Before anyone even knew what the tribes would be, everyone decided that they knew there would be a blue. They were kind of right. 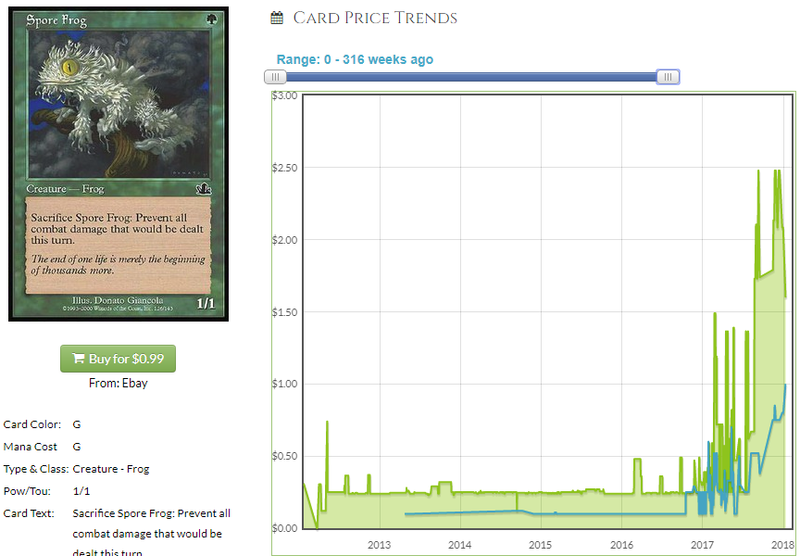 While I don’t think the EDH demand quite justifies this price increase, I don’t think it can maintain its current price either with the new interest from Pauper. If Pauper is for real, expect to see this head upward and if this card survived a reprinting in Commander 2017 (it did; I should have probably said “since” and not “if” but I was doing a literary thing where I mirrored the previous statement… you know what? I don’t owe you an explanation) I expect a reprinting isn’t on the horizon and we could see some real growth from this card. There’s enough supply out there for current demand but as it rises, remember, second spikes are hard because there aren’t cheap, loose copies out there to backfill demand. This hits $3 or maybe even $4 pretty easily. Having flirted with $15, the set foil is a mere $5 and that could have something to do with there being a competing foil. However, that foil is from a rare premium deck (the Slivers one) and the foiling is ugly. Anyone serious about foiling their pauper deck will get the good one and supply is pretty low. Tortured Existence is the MVP of this deck and with its price already at $3 (not bad for a common from Stronghold) and its EDH inclusion being less-than-impressive, I opted to talk about Fog Frog, a card whose stock can only rise. 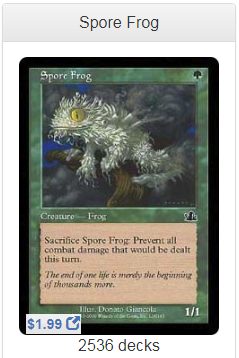 Rare in the traditional sense of the word because it’s from an old, bad set, Foggity Froggity is nuts in a deck with Tortured Existence. Pauper fever is catching up. 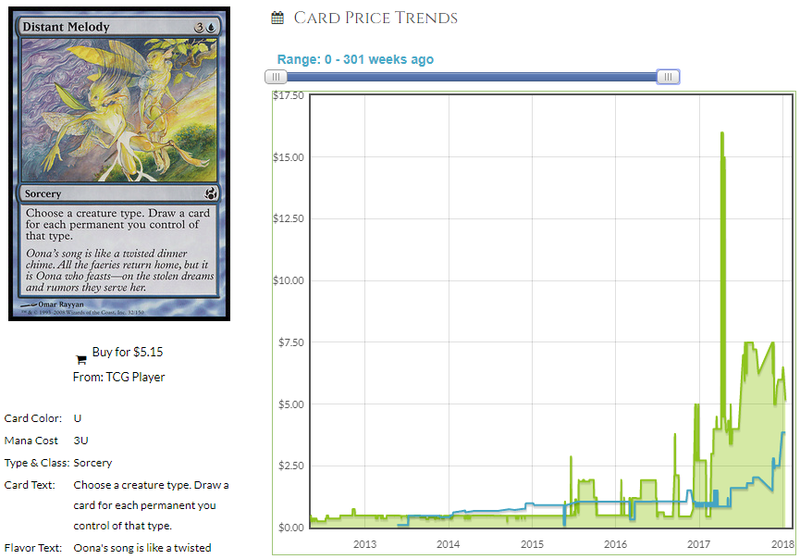 This could easily hit $3 or $4 with sustained demand and the non-zero amount of EDH play it gets will only drag on supply and bolster its growth potential. 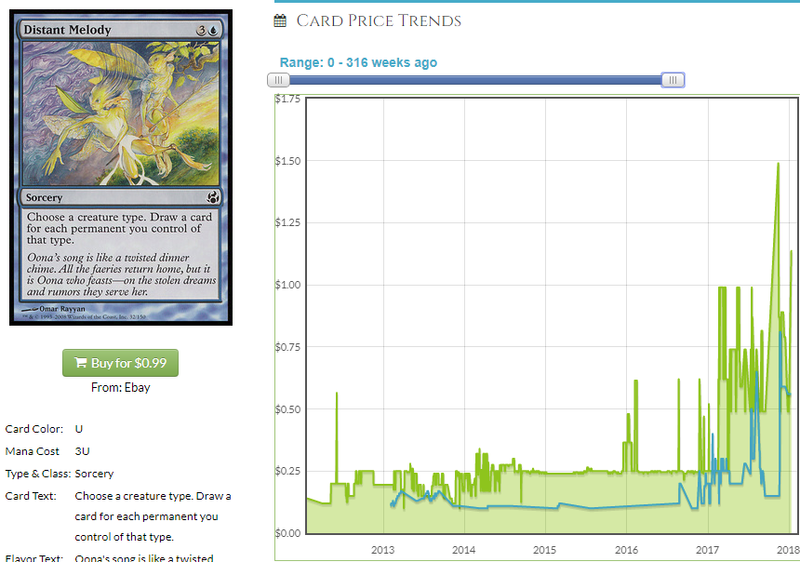 Lots of people don’t even know this is a pick so be sure to paw through Prophecy bulk if you hit up older shops that have more boxes than customers; there are a lot of them out there. I wouldn’t worry about getting a foil copy under $40, though. If you do, SHIP. OK, so somehow Muscle Sliver, Sinew Sliver and Predatory Sliver are all common on Magic Online. That means you have a deck with all common creatures that has 12 lords in it. That seems good. 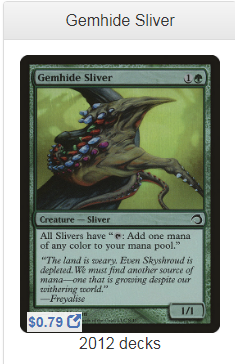 Lucky for us, Gemhide Sliver is going to be in all of the EDH Sliver decks because of course it is. That means if Meathooks gets popular (it’s a cheap deck if you already own Ash Barrens) the demand from the two formats puts a lot of pressure on a card with two printings, one of which was a terribly-foiled premium deck. Oh, and Fog Frog goes in the sideboard of this deck, usually, because despite every creature being a Sliver most of the time, people just call it “GW” because of stuff like Standard Bearer in the board. 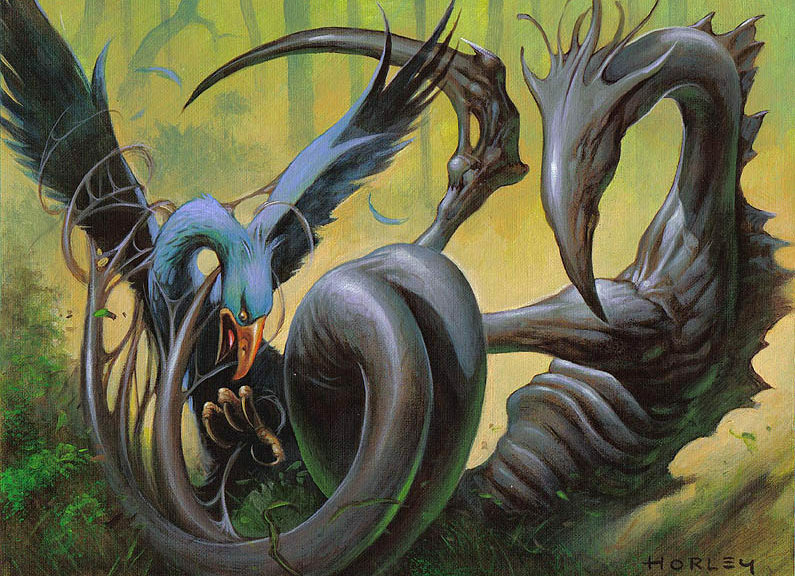 Maybe if more people knew there was a Slivers deck, they might give Pauper a chance. I mean, I doubt it, but a man can dream. I don’t think you understand how important to me it is that there are Slivers. I think this should be enough to whet your appetite. It’s a good idea to just look at Pauper decklists to see what is getting played. Anything with cross-format applicability obviously has some upside to it and EDHREC has all of the info you need about how many and which decks jam these paper pauper picks. That does it for me, nerds. Until next time! Great article Jason. Great picks and suggestions. I keep looking forward to reading these. Buylist is most of what I do. I have a case in an LGS so I can sell for retail there, but I mostly buylist. 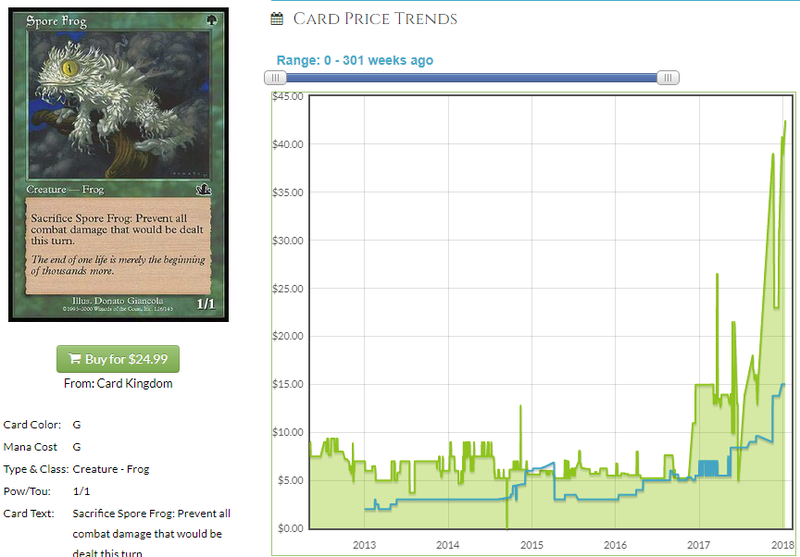 After fees, TCG Player isn’t much better than Card Kingdom.